This is a disorder of the inner ear, where the balance 'control centre' of the body is located. It is occasionally given the much more complicated name of idiopathic endolymphatic hydrops but is rarely called this now. It is a disease characterised by attacks of dizziness (vertigo), fluctuating tinnitus, nausea, deafness and a feeling of pressure in the ear. It usually only affects one ear but some sufferers may develop symptoms in both ears. Men and women are equally affected, at any age but usually between 20 and 50. Symptoms can range from extremely mild to severe. Its exact cause remains unclear but it is thought to be due to a problem with the way fluid in the inner ear is controlled. This fluid is called endolymph, and fills the part of the ear responsible for controlling balance, the labyrinth. It seems that in Meniere's sufferers there may be an increase in production of this endolymph and so an increase in the fluid pressure in the balance system. Too much fluid may accumulate either due to excess production or inadequate absorption. In some people, especially those with involvement of both ears, allergies or autoimmune disorders may play a role in producing Ménière's disease. In some cases, other conditions may cause symptoms similar to those of Ménière’s disease. People with Ménière's disease have a "sick" inner ear and are more sensitive to factors, such as fatigue and stress, that may influence the frequency of attacks. What Are The Signs And Symptoms Of Ménière's Disease? • A gradual loss of hearing over many months, involving all frequencies but more common with low frequencies. Loud sounds may be painful, and one or both ears may feel 'full' at times. This hearing loss may not be recognised as Meniere's until an attack of vertigo occurs. • Vertigo, or dizzy spells. These are attacks of a spinning sensation, sometimes with hearing loss, which can cause the sufferer to fall over because they feel so unbalanced. There can be a sensation of falling or somersaulting repeatedly and rarely there may be a temporary episode of fainting as well. Vomiting and nausea are common with attacks lasting minutes up to a 24 hours. Tiredness after such an attack is common and a slight 'sea-sick' feeling can persist for several days as well. • Tinnitus or noises in the ear. This is described as roaring, buzzing or ringing noise in one or both ears and may occur just before an attack of vertigo as well as worsening during the attack. • Ear pressure. You may get a sense of fullness or pressure inside the ear. • Loud noises that may seem unpleasant and distorted. An attack of Ménière's disease may last from a few minutes to several hours. The average is 2-4 hours. Many people feel quite sleepy after an attack. Slight unsteadiness may last a day or so after an attack but sometimes longer. Symptoms vary from person to person and from time to time in the same person. Most doctors will diagnose Meniere's from the history and physical examination alone. The auditory brain stem response (ABR), a computerized test of the hearing nerves and brain pathways. Hearing tests or audiograms can confirm a hearing loss but these are most useful if taken during an actual attack to look for a low frequency hearing loss at this time. Magnetic resonance imaging (MRI) may be needed to rule out a tumor occurring on the hearing and balance nerve. Such tumors (acoustic neuromas) are rare but they can cause symptoms similar to Ménière's disease. These are almost always organised by specialists rather than General Practioners. There is no definitive cure for Meniere's disease, but treatments exist which can greatly ease its symptoms. These fall into the categories of diet, tablets and surgery. 1. Diet. Sensible dietary advice applies here, but especially regarding salt as a high-salt diet has been implicated in triggering attacks. Avoid caffeine, cigarettes and alcohol, and stick to a low-salt diet. Always aim for regular exercise and regular sleep, but try not to get over-tired as chronic fatigue can trigger an attack. Stress is widely reported by sufferers as making symptoms worse. 2. Medication. Drugs have varying degrees of success in treating Meniere's but diuretics ('water pills') are sometimes used in addition to a low-salt diet to reduce symptoms. Anti-vertigo drugs such as prochlorperazine (Stemetil) or betahistine (Serc) are commonly used to dampen down' symptoms, although these occasionally can cause drowsiness. These can be taken either constantly or only during an attack, depending on the severity of the Meniere's disease. 3. Surgery. Should medication and conservative measures be of no benefit then surgery may be considered, especially if the attacks are either prolonged or disabling. 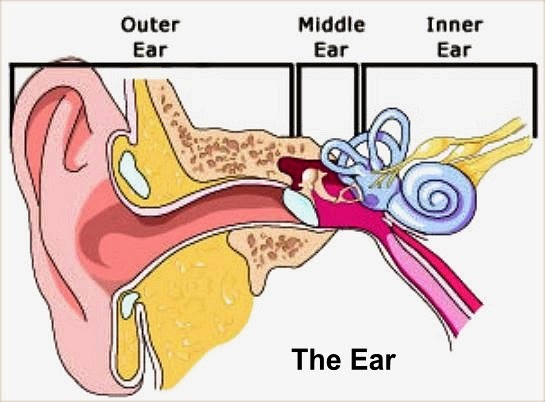 These all aim to drain excess endolymph from the ear and may involve drains fitted into the ear, cutting a nerve supplying the labyrinth or destroying the labyrinth using ultrasound techniques. These procedures would not be considered however unless all other avenues of treatment have been explored first. Most attacks settle between half an hour and four hours after starting, but the frequency with which they occur is so highly individual to each person. This means that it is impossible to be an 'average' Meniere's sufferer. Occasionally deafness may gradually worsen with time in one or both ears or after a few isolated attacks it may never occur again. In general terms, aim to have as stress-free a life as possible, although this is not always easy! Healthy eating, avoiding fatigue but have regular exercise and stopping smoking will all be of benefit but there may be other triggers for your attacks which are individual to you and which you will know to avoid whenever possible. It is important to try to lead as normal a life as possible rather than letting your symptoms take control of it. 1. Did your symptoms happen gradually or suddenly? 2. Do you feel deaf in one or both ears? 3. Have you noticed any particular things which seem to trigger your symptoms? 4. Are your symptoms worse when you are under stress? 5. Do you feel very tired after an attack? 1. Am I allowed to keep driving? 2. Will swimming make it worse? 3. What should I do about climbing ladders? 4. Will I need a hearing aid? 5. When would I need to see a specialist?